The main thing to consider when deciding on how you’re going to organise your collection is how it will be stored. If you’re putting them in boxes then it may be better to organise by Genre rather than Alphabetically, if you’re using slotted shelves then sorting Alphabetically could be a pain as you’d have to move each DVD down a notch if you buy a new one starting with “A”. What if DVDs are stored in multiple locations? Then it may be better to have no organising as such on the DVDs themselves but rather a list of locations and approximate order the DVDs are in. Once you have chosen your category then stick to it. Don’t vary sub-categories within the main category contexts as you’ll lose all benefit of the top-level organisation. Once your DVD collection reaches a certain size it can, and will, become difficult to remember what you have, who you lent it to and whether you bought the limited edition or standard DVD. This is where Tracking tools come in. Of course, not all of this information may be applicable or they may be further categories you wish to add, just use what’s relevant to you. 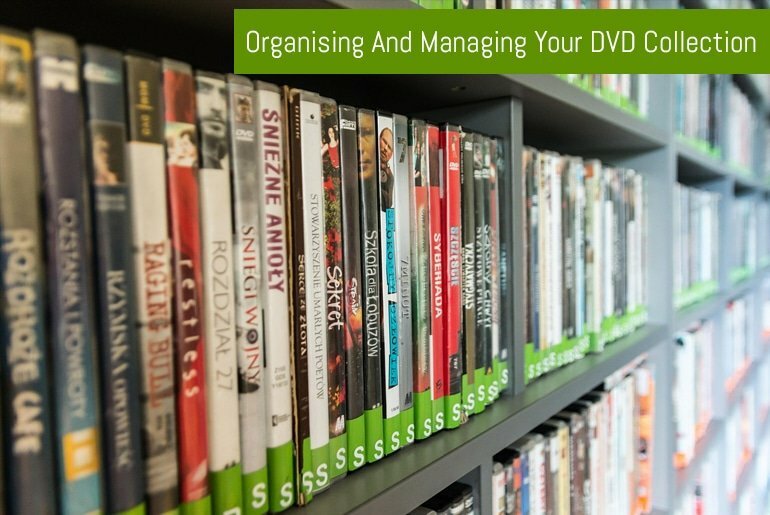 Once you’ve decided what information you want to store about your DVDs then you can decide on the appropriate tool to use. For example, a simple spreadsheet may do if you just want to keep the Movie Title, Director and who you lent it to but you’d probably be better off with a database if you wanted to record anything more complicated. If you don’t currently have a spreadsheet package on your machine (such as Microsoft Excel, MS Works or Lotus) then I’d highly recommend OpenOffice which is a fantastic free package and easily rivals Microsoft office. Update (13th May 2016): I’d also recommend LibreOffice which is a fork of OpenOffice and updated more often and is a bit more modern. If you want to use a database then MS Access would work quite well (or the database that is shipped with OpenOffice 2), however, if you want to get more complicated you can always use MySQL as an alternative (using a web-based front-end). So, organise your collection and never be wondering who you lent that DVD to again!